Once upon a time I never thought boyfriend jeans would suit me, until I tried these beauties from Pretty Little Thing! I think they are so flattering and the ripped details really edge them up. I love the look of boyfriend jeans with minimal strappy heels, so that's what I went for. I liked the idea of an all white outfit so also added a white crop top. 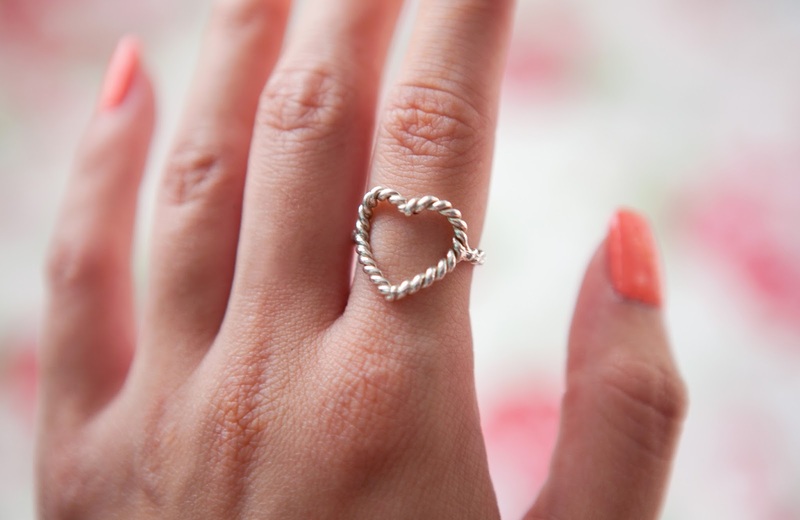 Just how pretty is that sterling silver leaf bracelet! I think I only own one other real silver bracelet and wanted to get more. 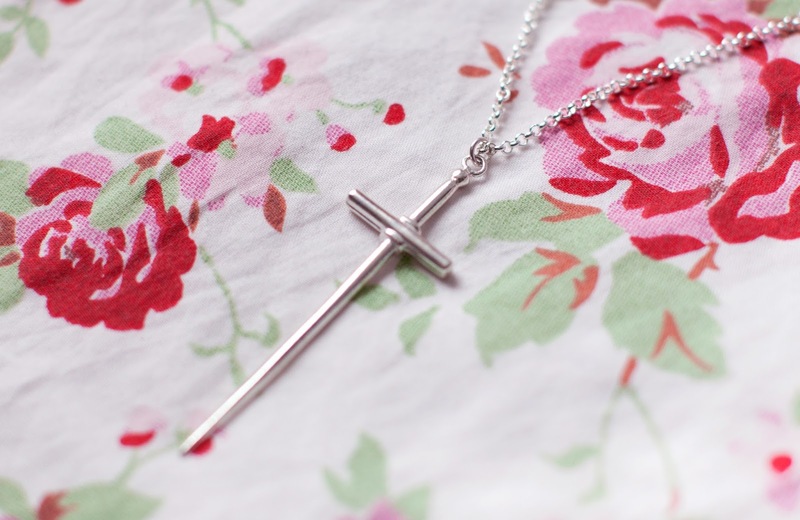 I love how dainty it looks and it was only £6.99! This weekend only, use code "HAPPY15" for 15% off! 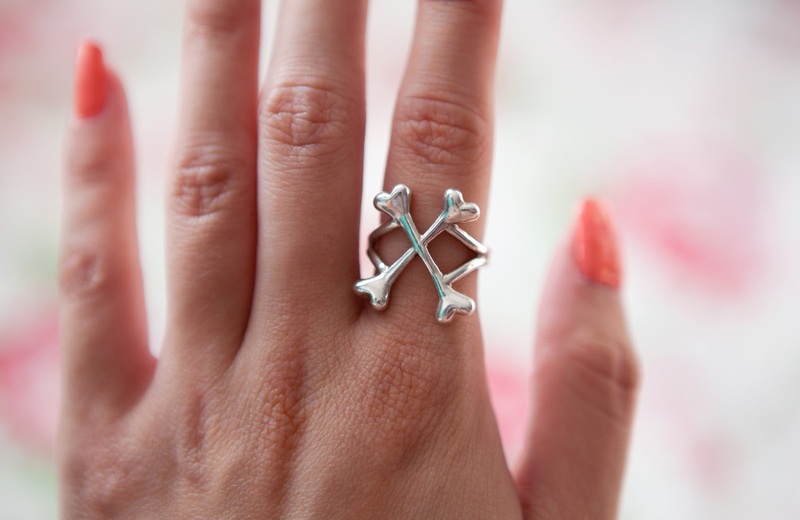 They also donate 50p from every purchase to their local animal rescue kennels, how amazing is that! 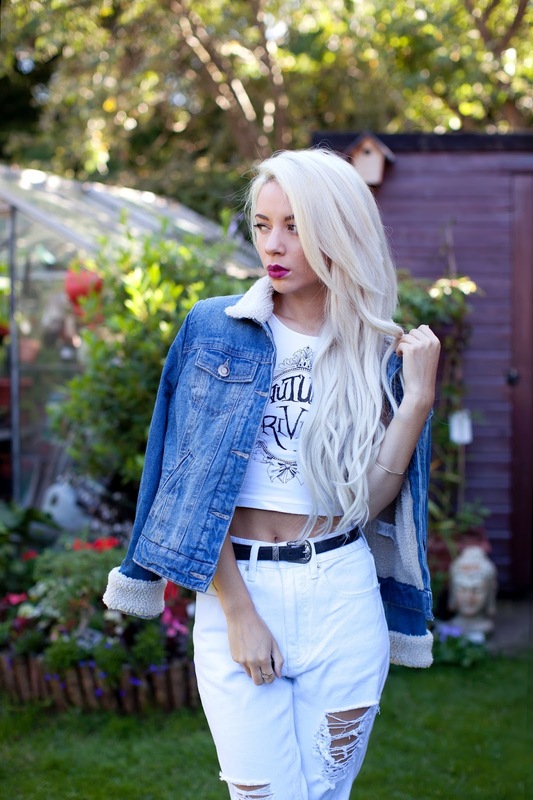 I feel the jeans with the jacket give it a retro sort of feel to it, which I adore! 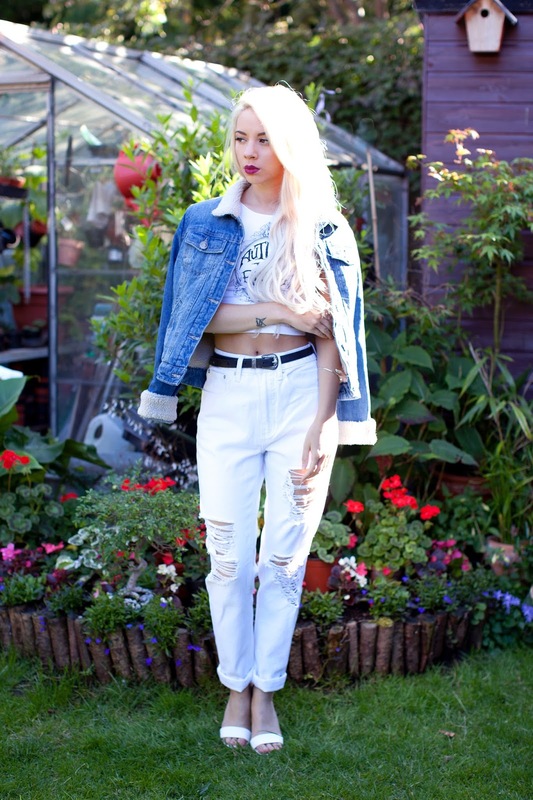 Are you a fan of boyfriend jeans? Here's a causal yet edged up festival outfit. I love the contrast of the pretty shorts against the structure of the cropped jumper and bulkiness of coltranes. Colours running through our are pinky coral tones against black, something I've not really gone for before, but really like here! I've seen these shorts being featured everywhere and had to get myself a pair! If you do decide to get these ones from Missguided I would suggest sizing up if possible as they are quite tight around the waist! This hype cropped jumper I cut a little more to get it the right length for myself. They no longer have this black one, but I saw a burgundy version when I last had a little look. I adore this little apple choker necklace from Traditional heart! I think it adds a cute 90's vibe to the outfit. 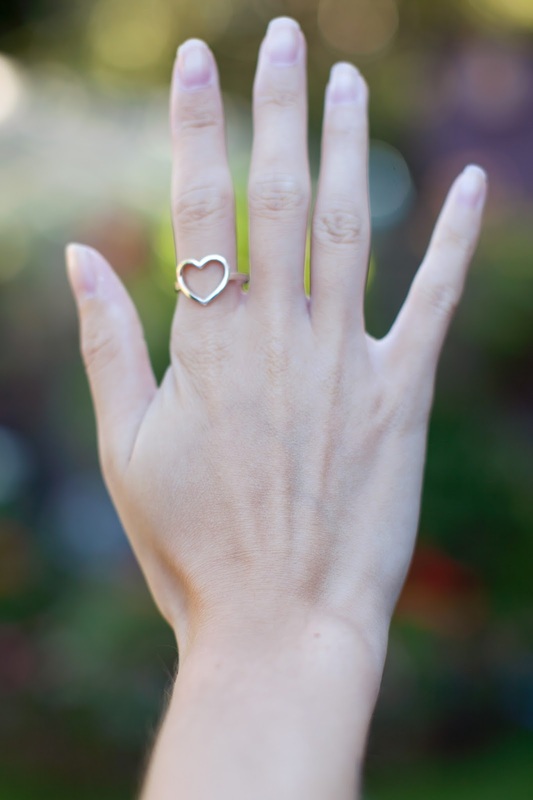 If you fancied anything from Traditional Heart, use code "SUMMERLEANNE" for 25% off throughout July! 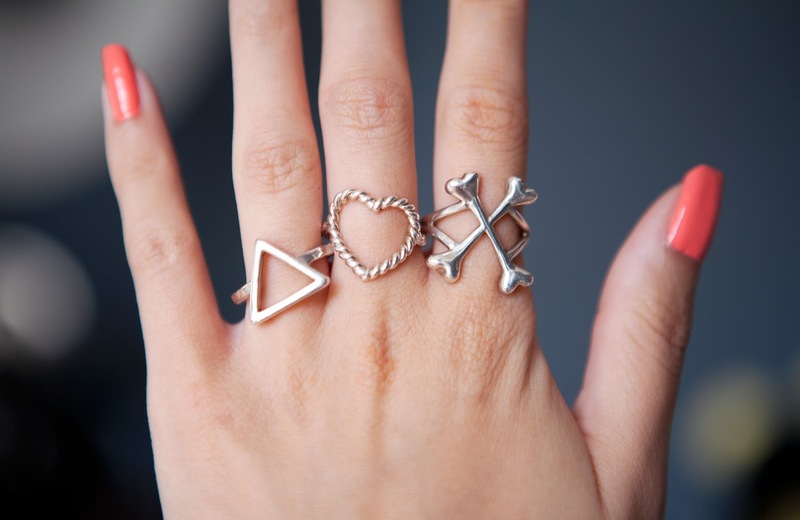 Look at those amazing new ring additions to my collection! 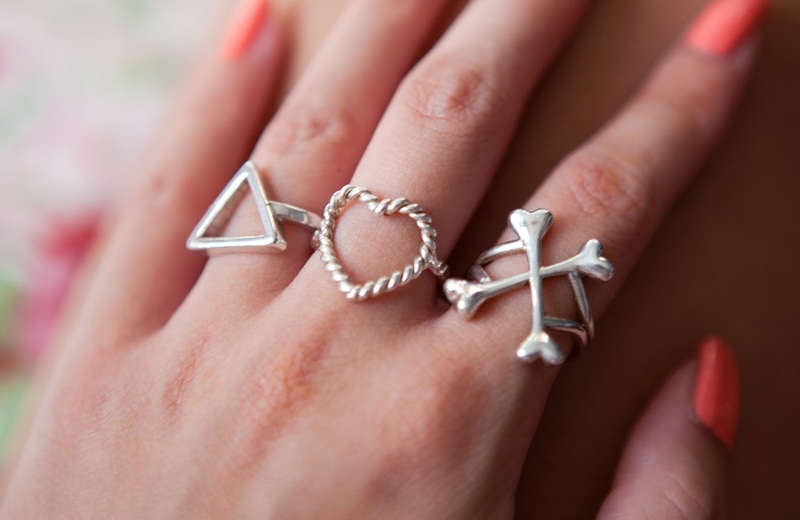 The cross bones and heart ring are both from Bloody Mary Metal, I'm so in love with their jewellery! 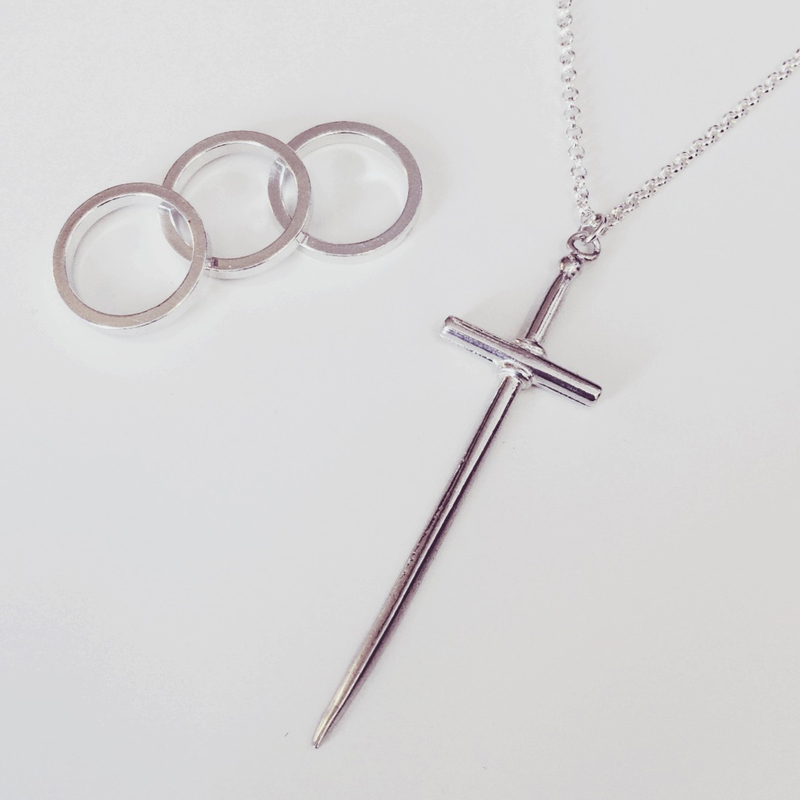 These are sterling silver and handmade! 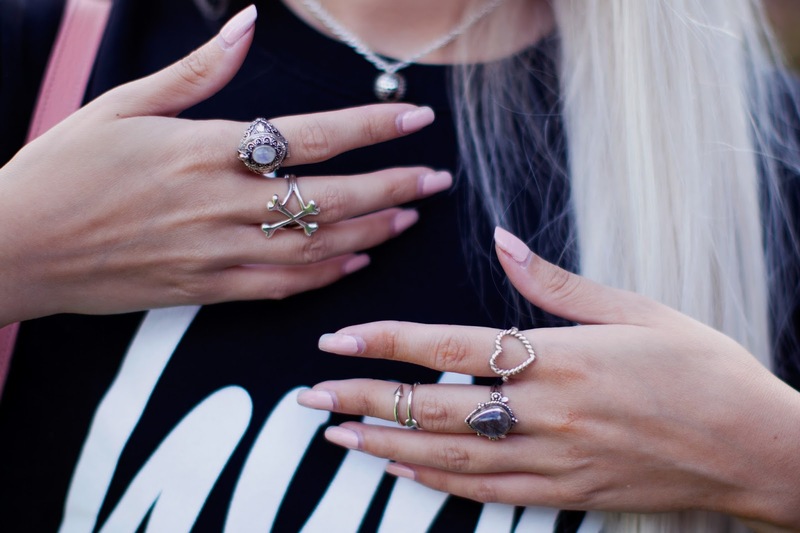 All their jewellery is cast in either sterling silver, rose gold or gold, not plated so it won't make your fingers go green! 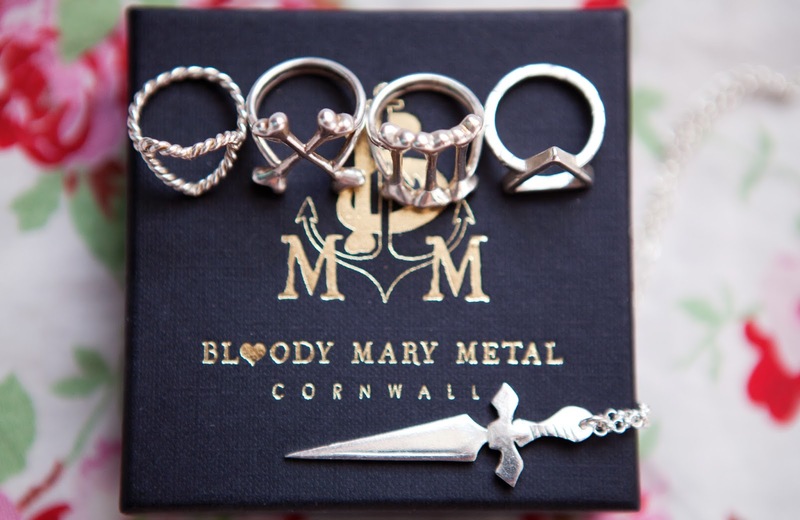 If you fancied anything from Bloody Mary Metal, use code "BMMXLEANNE" for 20% off throughout July! Enter via the widget below. Open Worldwide. Starts 16/07/14 and ends 26/07/14 12:00AM GMT, winner will be picked at random and displayed on the widget on 26/07/14 and emailed that day. 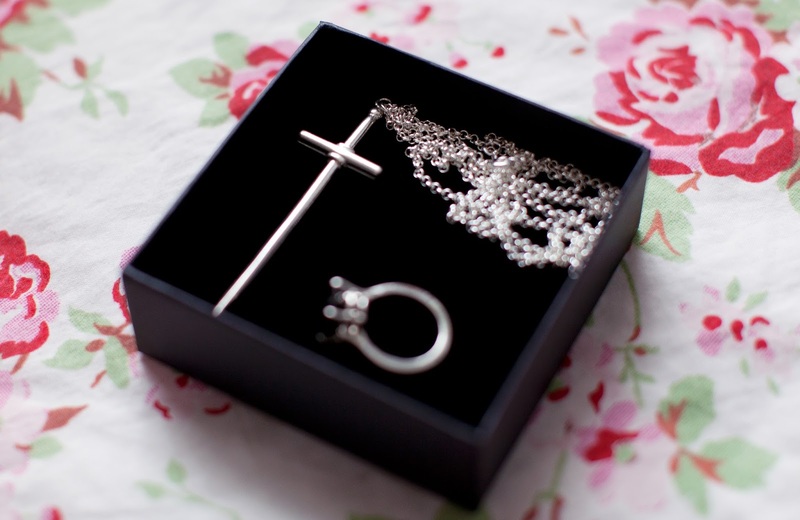 The winner will recieve these handmade sterling silver items pictured below. 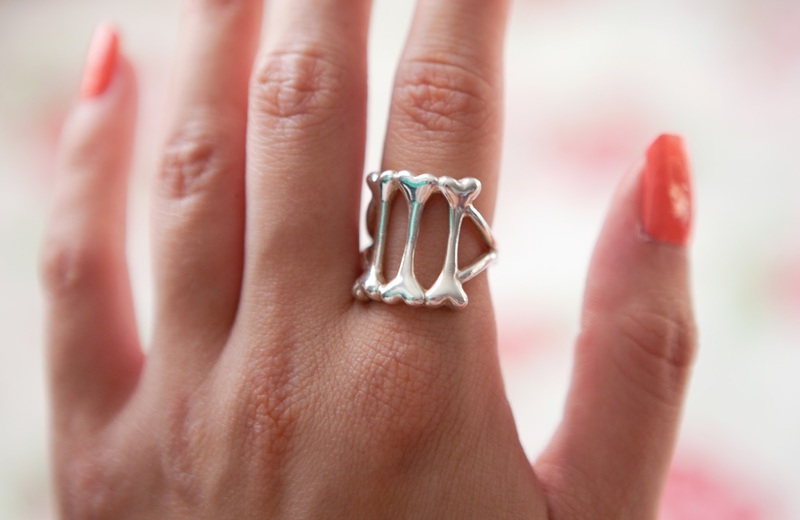 The rings will be made to your size and you can choose what words to be added on if you wish. It was offered for me to choose some words, but I couldn't think of anything cool! 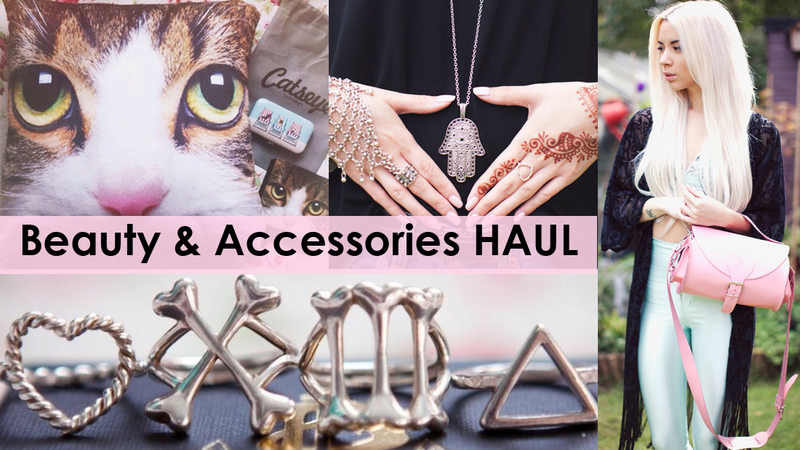 Sharing with you lots of the lovely beauty, jewellery and accessory items! Excuse the fly away hairs, it happens after I wash straighten my hair! 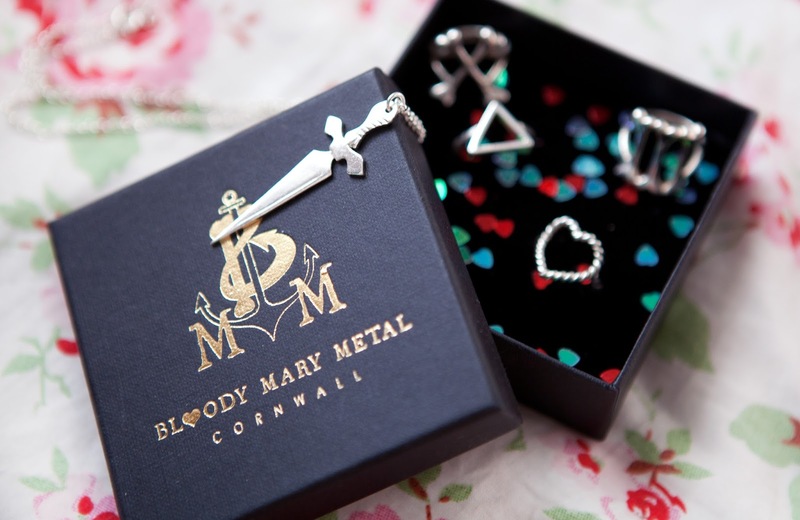 Bloody Mary Metal Blog post (giveaway happening on Wednesday 16th July on my blog too! Lipstick / Maybelline Color Sensation "Pink Punch"
Nails / Essie "Tart Deco"
Here's another outfit featuring more distressed Dr Denim jeans from The Mercantile London! It's your last reminder to enter if you fancied to win yourself 5 pairs of distressed Dr Denim jeans! Enter here! I love the shade of these jeans! The back have had some bleach added to create the lighter patterned effect. I have to admit I added in the rips, I'm not fully sure on them! Perhaps it's good to let people who know what they are doing to do this for you, as opppsss I think I perhaps ruined them!?! In love with this coat from Missguided! Still loving boyfriend coats, still season friendly as lets face it, in the UK it still gets cold in our "Summer" and they evenings can be quite cool. This is quite wordy! But for those who prefer to watch videos, I shall have a video series following this too, but the blog posts will be more in depth. Check out video 1 here. I've not felt comfortable in my face with no makeup since my early teens. Then came the break outs, the scaring, uneven skin tone, oily t-zone and black heads. I was a shy teenager with frizzy hair and an even tinier frame than I have now. At the age of 15 I discovered GHDs to tame my hair and I started to wear makeup to conceal those blemishes. I started feeling more confident even though looking back I really didn't know what I was doing with makeup, and I really did over pluck those eyebrows! Soon I am turning 25, in August, and I always thought that by this age I would have clear skin, but no. I still get blemishes, the longest I go with none is a week if I'm lucky. But still I'm left with marks from the last lot so my skin still looks bad. I also forgot to mention I have rather dark circles under my eyes, I guess I have quite thin skin around that area. Even in middle school people used to ask if I had a black eye.. nice. Also once whilst at uni a guy friend of mine came into my room unannounced, seeing me without makeup he said "Aww you're ill, you poor thing" and proceeded to give me a hug. In reality I was having a lazy day free of makeup. Embarrassed by this all, I just agreed I was ill.
Another amusing story, when dating guys through uni, in fear of them seeing me without makeup and being put off, I used to sleep with my makeup on and wake up early to wash my face and apply more so they didn't see me without. I'm sure this didn't help my skin at all! When girls say "I look awful without makeup" most actually look just as incredible as they do with makeup. In my case I genuinely feel I do look awful. I know I look very different without it. I feel this insecurity is holding me back from many things. For example, I wish to attempt filming makeup videos, but this would involve me starting with no makeup. Not something I could do just yet. My friends have said, do it, people will say you look just fine, but even if lots said I did, I know, I just know, one would say something nasty, and I'd just focus on the negative. Some may think this is all silly, and yes, yes it probably is, but that's how I really feel. But I do really want to change this! I do get some lovely comments though from viewers on my youtube channel saying I have nice skin, requesting I do a foundation or skin care routine. I'm always quick to say though it's just the makeup and good lighting, as I know my skin isn't good! 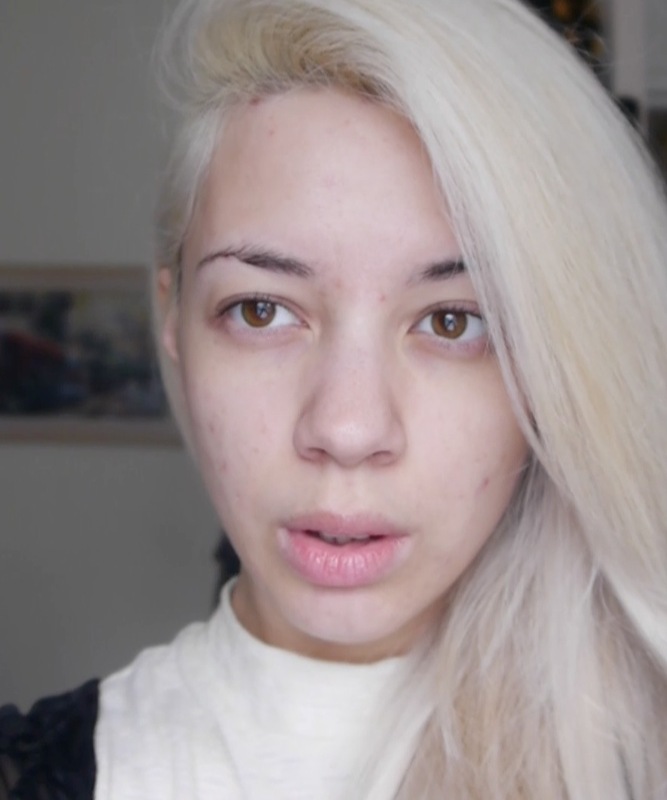 I was approached by U and your skin as the lovely Carly, a friend and fellow youtuber recommended me to them. They offered me a free facial for a review, and I of course said yes! 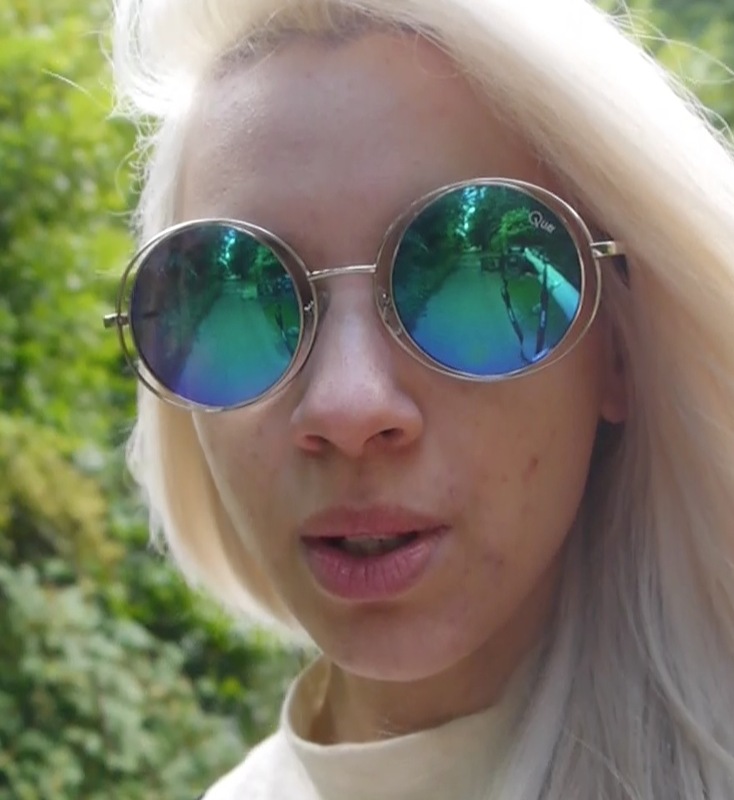 18 days ago I ventured out of the house with no makeup, and the biggest sunglasses I owned to cover up my face. Upon arrival I was met by the lovely Louise and we chatted about my skin. I told her my insecurities which she noted down. I was actually have a good skin day with no active spots, but lots of marks from previous ones very apparent on my face. She then asked me questions which explored my lifestyle, diet etc as other things can also contribute to our skin troubles, such as stress and excess of certain foods. Their procedure is to find out what you want to improve on with your skin, then they tailor treatments for each individual. It's not set facials for every client. I wasn't really sure what to expect as I've only ever had one facial in Thailand and that didn't really do anything so wasn't fully sure on the whole point of facials to be honest. Whilst listening to calming music I had various lovely smelling products massaged into my skin, then a face mask and even a mini steam machine to help open my pores for a deep cleanse. Louise did mention I had a lot of build up on my skin, this was down to me exfoliating everyday and damaging the protective layer on my skin. I've stopped doing that now! The facial was very enjoyable and relaxing! I did worry though that my skin would break out after this treatment as from previous experiences with face masks I've used on myself, I end up breaking out for a whole week! 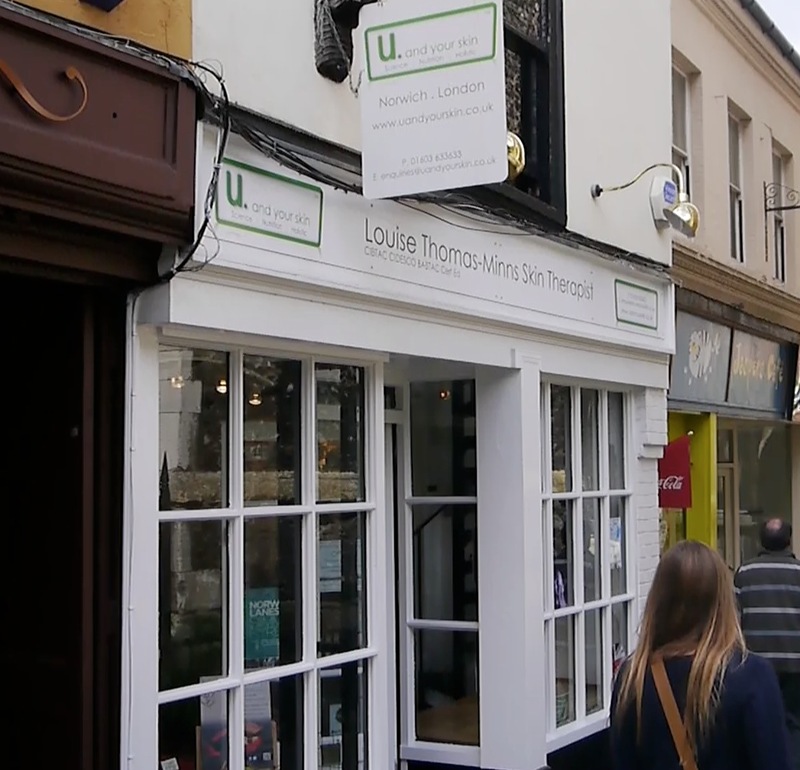 Louise even mentioned I might due to the deep cleanse bringing out all impurities. Luckily though I didn't break out at all! 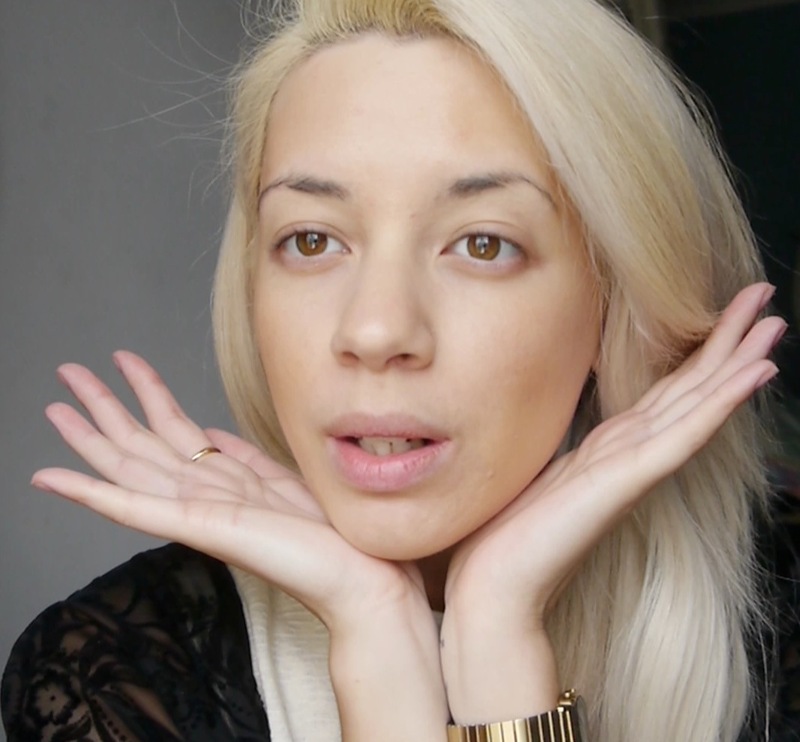 If anything my skin improved each day afterwards! For my dark circles Louise recommended I take magnesium supplements to help brighten my skin. I got ones with zinc in which is meant to help your body absorb the magnesium and also aid healing. I really did not expect to notice anything straight after the facial, but oh my, my skin felt AMAZINGLY soft. I've never felt my nose feel so smooth in my life! The pores were barely noticeable there too. I'm not sure what was used in the facial but my word I've never felt my skin feel so smooth before! She then added some mineral foundation so I didn't feel as self conscious on my walk home. I've never thought about using mineral makeup before as I never thought it would give enough coverage, but this was buildable and actually worked very well. It was by the brand Priori which is made by the same company behind Bare Minerals and helps treat the skin too. I was quite impressed with it, I'm thinking of buying it actually. My Mum was so impressed with it she wants to buy me some for my birthday, bless her! Days after I noticed when I sunbathed, with factor 30 on my face, it actually tanned! Previously it wouldn't but I guess that was due to the build up on my skin. I was given a gentle cleanser containing AHAs (alpha hydroxy acids) by Priori to use every evening, and then I bought a skin renewal cream also containing AHAs by Priori to use after the cleanser every other evening. These AHAs help aid skins resurfacing. These products are to help prep my skin for my next more intensive treatment. I feel they've also helped keep my skin continually feeling nice and smooth. I've not yet noticed improvements with my dark circles yet, but I think they will always be most noticeable to myself. I've hardly broken out in the 18 days it's been since my first facial, a record! My skin actually looks like it has a glow as the dull layers of build up have been removed. We chatted about a few things, then they kindly offered me to try out 6 more treatments for me to review. 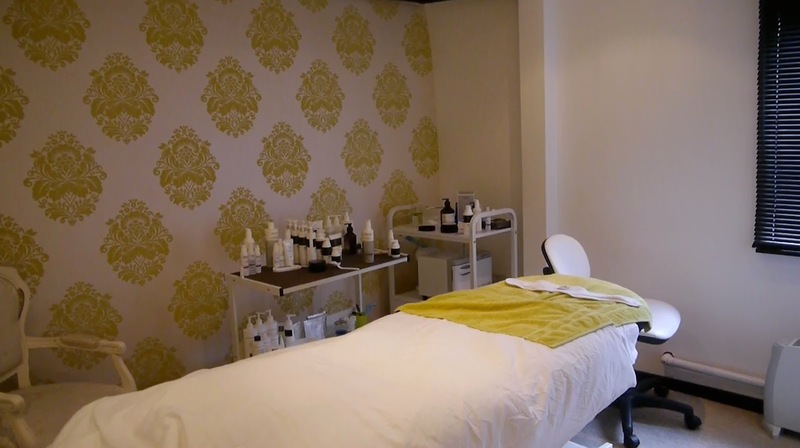 I was delighted as I was so impressed from the first facial and I couldn't say no to someone offering to help me with my skin! So for my next post I shall cover the first three treatments as the half way point, then my last post will be after the sixth treatment to talk about how it all went and show how my skin is at the end of it all. How does this sound to you guys? The first of the six treatments is an intensive AHA peel, which sounds very scary! But isn't as I had that a few days ago, which I filmed. The second treatment will be an Omnilux light therapy which I shall also film. Following from this the next sessions will alternate between these two treatments so the posts will be following how my skin improves as well as first outlining the treatments. Pictures, well stills from my vlog. eww :( it doesn't look too bad here, but it's worst in person. I should have taken pictures! But I run away from cameras when I don't wear makeup! Below trying to be inconspicuous on route, but these glasses got a lot of attention actually! :/ Can see the marks on my skin a bit more here. It's worst on the other side of my face. 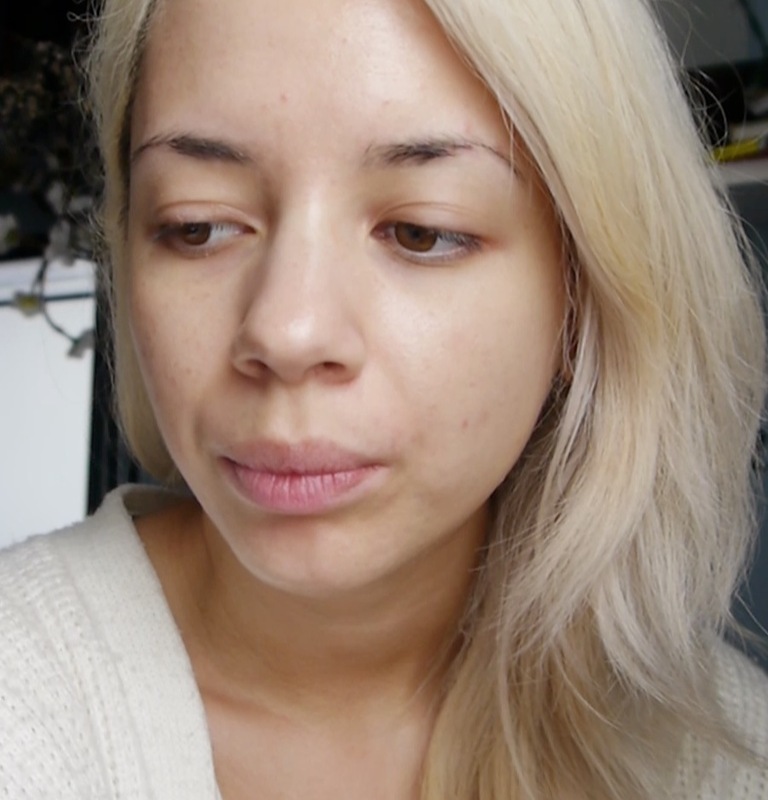 Below, 16 days after the facial, makeup free, more even skin tone and I have a slight tan on my face yey! Due to hardly breaking out and using the skin renewal cream the red marks from previous spots have faded considerably, most completely gone. It's very hard to get a still of me talking, I'm not sad here honest! 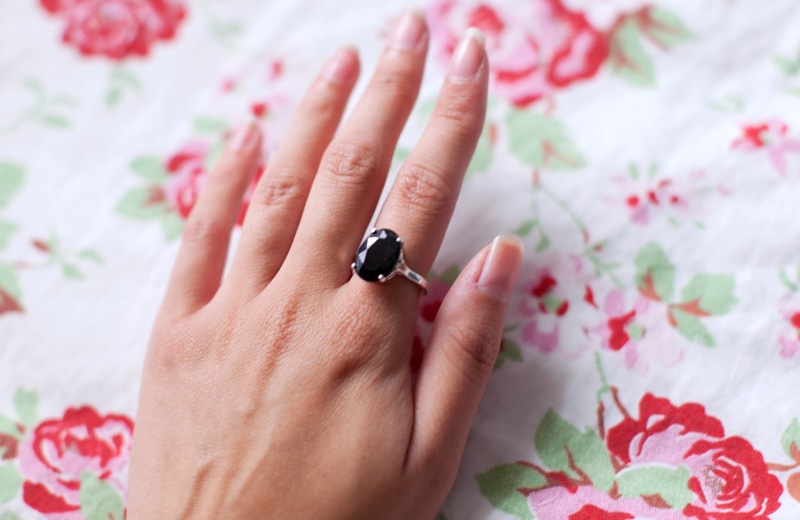 If you are a follower of my blog then you will recognise Catseye London as a brand I've featured before here. They've realised a new collection of various designs this week and here are two of them. 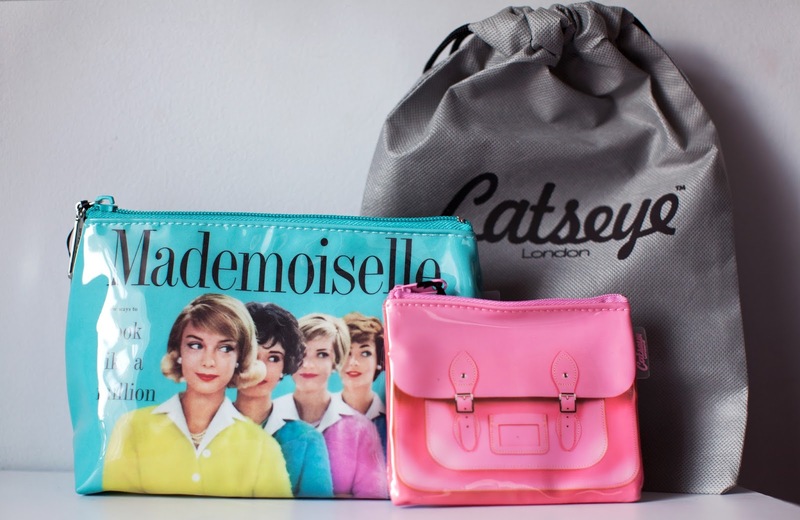 They have a vast array of products with both these designs on ranging from makeup bags, coin purses, wash bag, glasses case, nail care, mirrors, cushions and more! 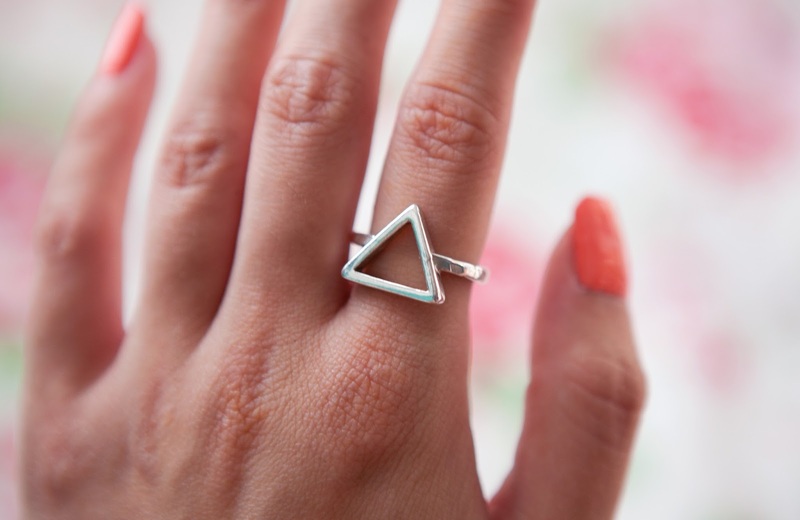 See all the new designs here. 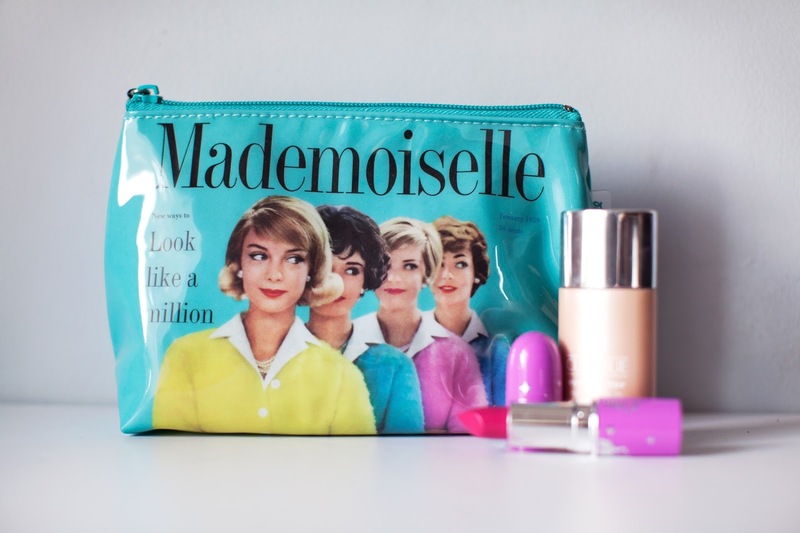 I love how their products appeal to all ages, this mademoiselle makeup bag could easy be suitable for girls and women of all ages. 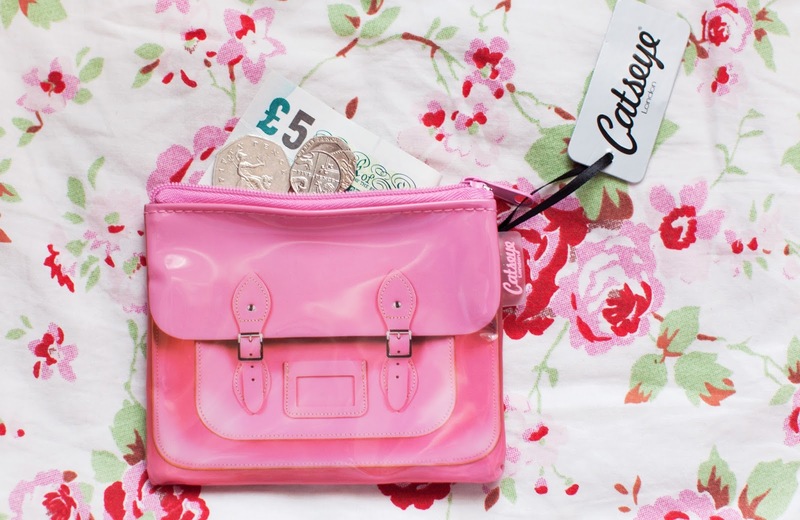 The pink satchel design looks very suitable for teenagers and younger. 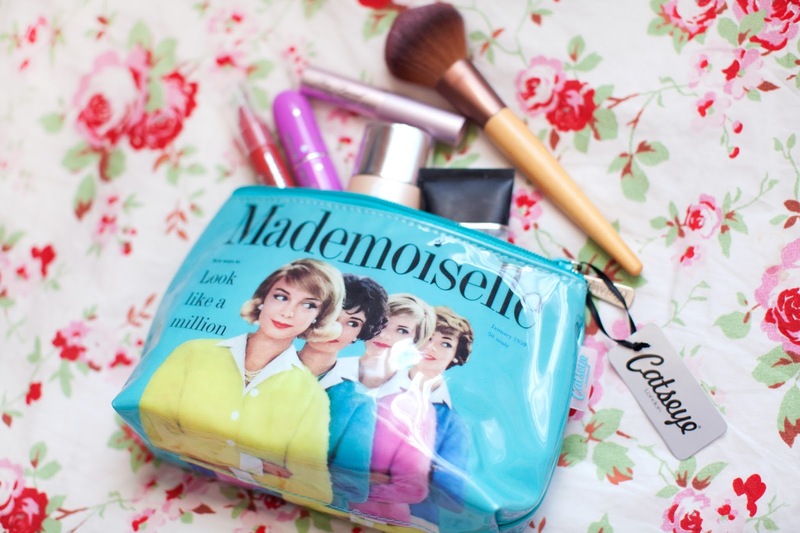 I love how the products come in these handy little Catseye London draw string pouches, these can be re used for many things! 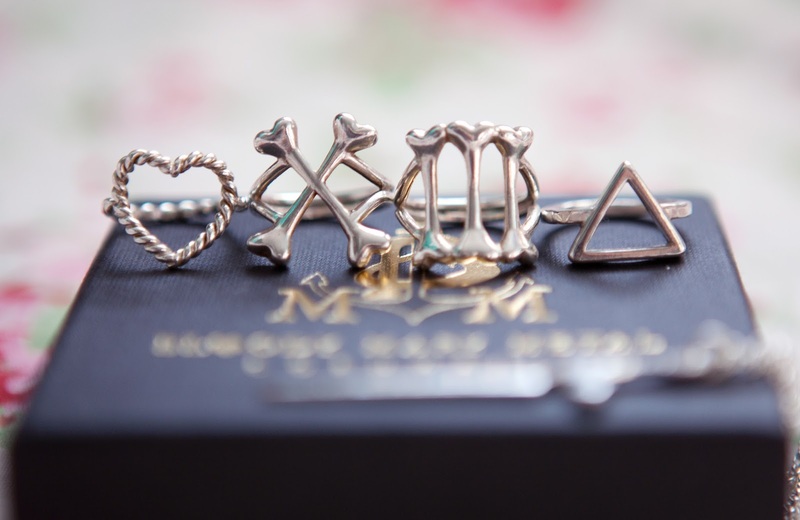 Have you checked out their new designs yet? If so which are your favourites? Not many outfit photos for this one as it started raining! Typical British weather! I wanted to keep the top half of the outfit simple as those jeans have quite a lot going on! To keep it feeling chic and summery I opted for a clean fresh white. This time actually wearing my Topshop boyfriend coat instead of just having it on my shoulders. I think a few more rolls on those sleeves made it looks a little nicer on. Tie dye jeans hey, what are your thoughts? Enter via the widget below. Open Worldwide. Starts 08/07/14 and ends 16/07/14 12:00AM GMT, winner will be picked at random and displayed on the widget on 16/07/14 and emailed that day.